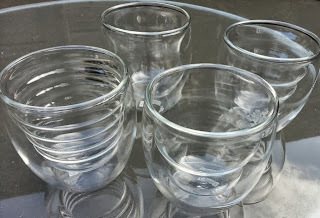 We've reviewed for Ozeri before, so when they asked me if I'd like to review again I was more than happy. Last time we reviewed their Glass Digital Kitchen Scales and now they have sent their Ozeri Curva Artisan Series Double Wall Beverage Glasses - or Glass Tumblers to you and me. 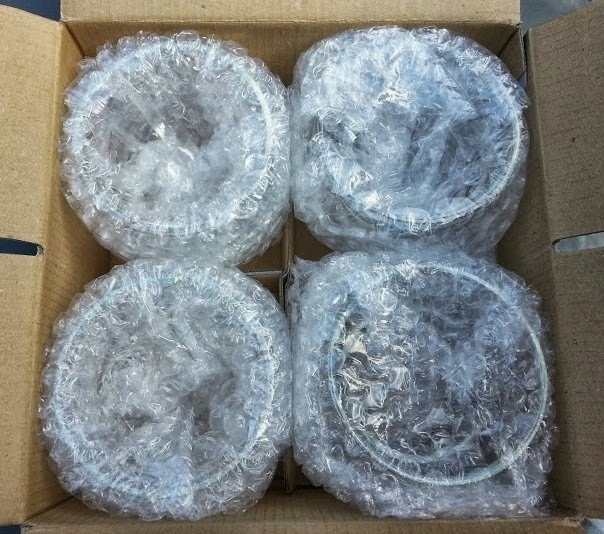 They arrived beautifully packed, safe and sound. 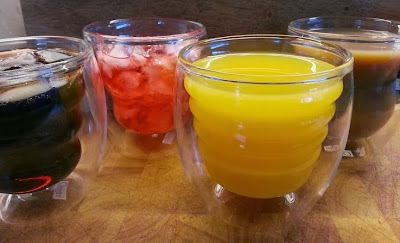 Inside were the 4 handmade tumblers, each with a different double-walled 8oz design. 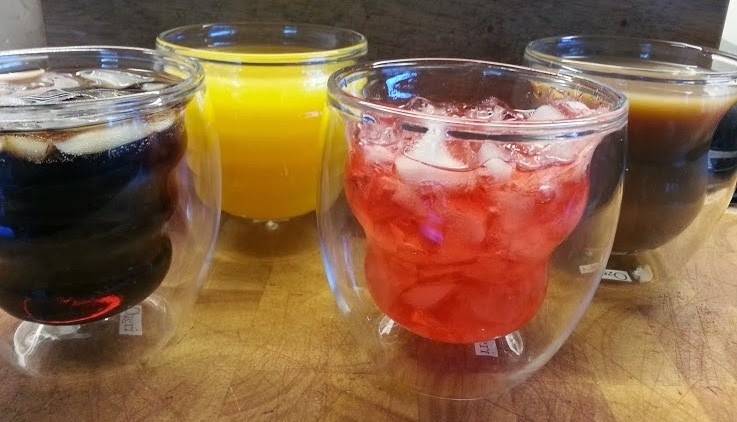 Unlike most glass tumblers, these are made from borosilicate glass, which is stronger and more durable than standard glass, and is heat and shatter resistant. 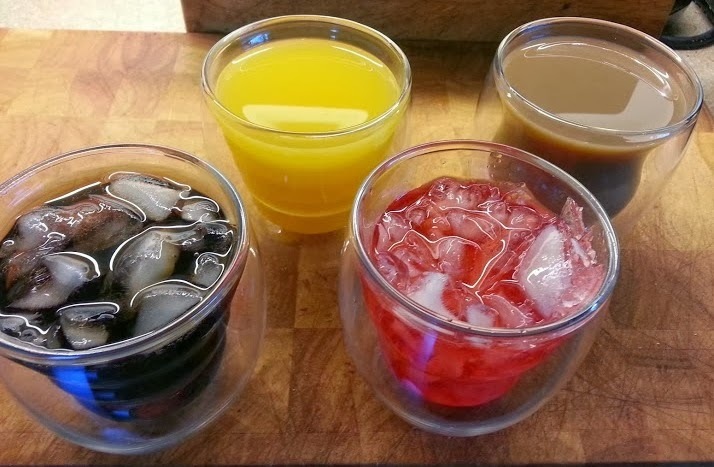 This means that you can use them with ice or hot drinks with confidence. Because they are double-walled whatever you choose to drink won't burn your hands or get them wet because of condensation - brilliant. Like the scales we reviewed beforehand, these are an item often overlooked, that is generally designed for usefulness only, but in this case is a thing of beauty. 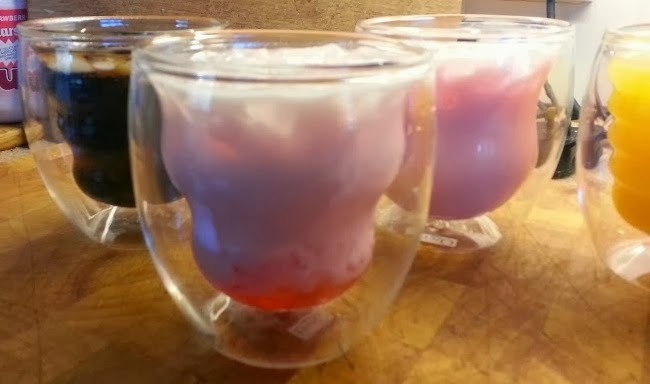 These are quite large, somewhat clunky, glasses but they're still comfortable enough to hold.The glass feels thin and delicate, but as it's borosilicate we're assured it isn't - we've had them a week now and my teenagers haven't managed to break any! They look stunning. A real discussion point and a beautiful thing to have on display. I'm delighted with them and have really enjoyed having something so nice, and which makes standard tumblers look incredibly boring. 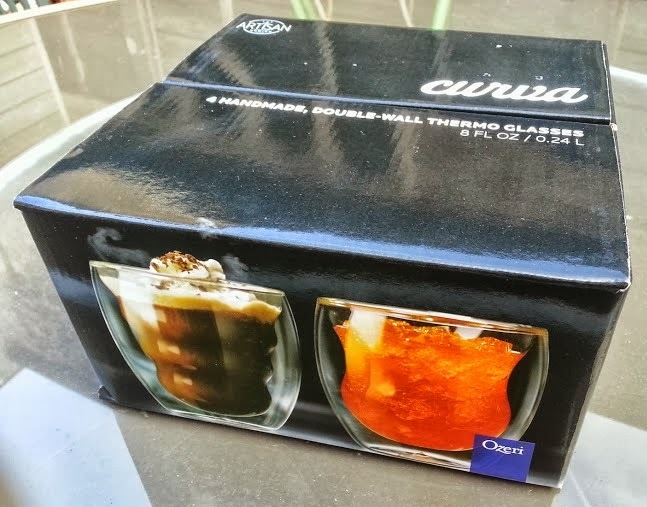 The Ozeri Curva Artisan Series Double Wall Beverage Tumblers (bit of a mouthful!) have an RRP of £29.99, and are currently on sale on Amazon for £24.95 with free UK delivery. They look so great, really different. Wow - these look fab, really effective with all the different drinks you've put in them.